The AFTCO Socorro Supreme Medium Fishing Fighting Belt is the perfect match for the AFTCO Max Force Harness and is ideal for use with 50lb to 80lb class stand-up gear. 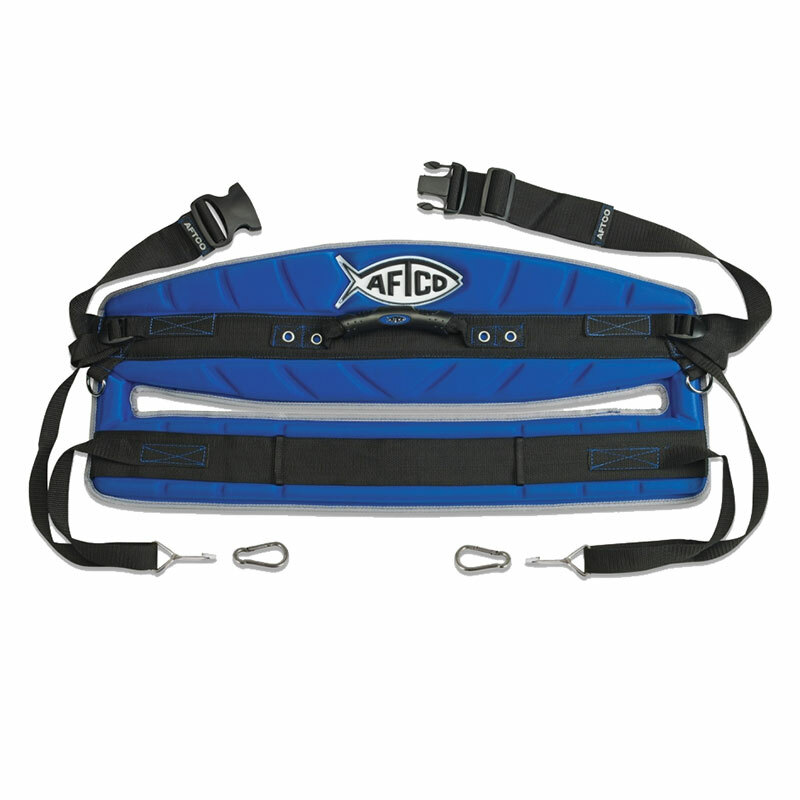 It is adjustable for 28" to 50" waist sizes and features AFTCO Quick Clips for easy and fast on and off of the belt. The AFTCO Socorro offers advanced design, materials and comfort and is a supreme fighting belt for stand-up battles with big game species like marlin and tuna as well as sharks and bottom species such as conger, halibut grouper and giant skate. The thick , closed cell EVA foam back pad is engineered to maximise both comfort and leverage so that when the belt is positioned across the upper thighs, the load is distributed evenly for maximum pull when fighting big fish stand-up style. 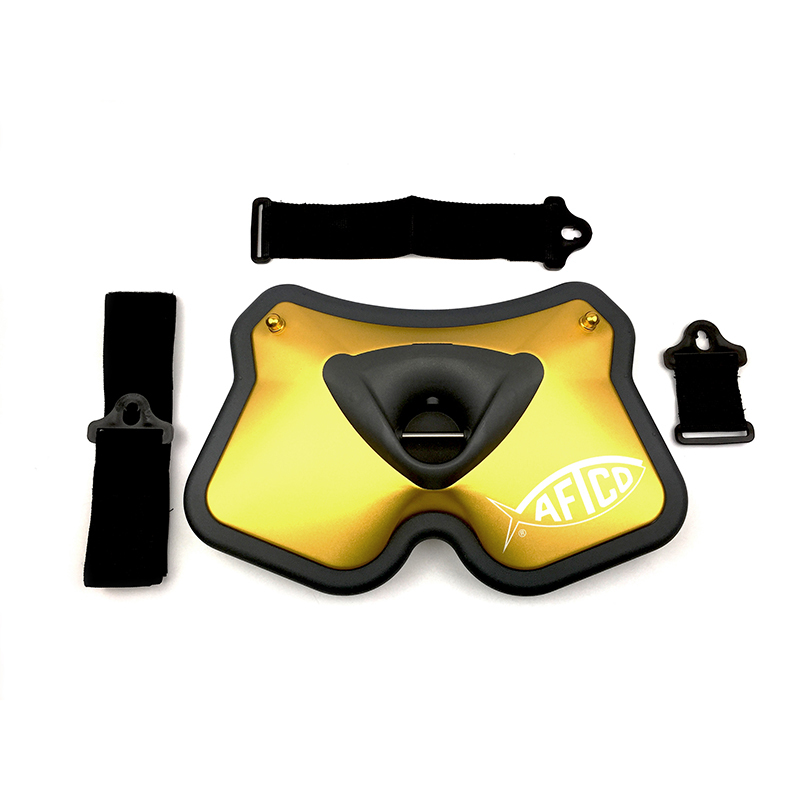 Co-moulded to the foam back pad is a heavy duty, lightweight gold anodized, stamped aluminium front plate. Super durable, it features posts at each side that accept unique Quick Clips, which "snap" the two-piece belt straps (or optional drop straps) in place for quickly getting in or out of the belt. Also featured is a super strong, moulded glass-filled nylon gimbal pocket that is engineered to quickly guide rod butts into an optimum fish-fighting position. The gimbals pocket's stainless steel pin is adjustable for horizontal or vertical orientation. 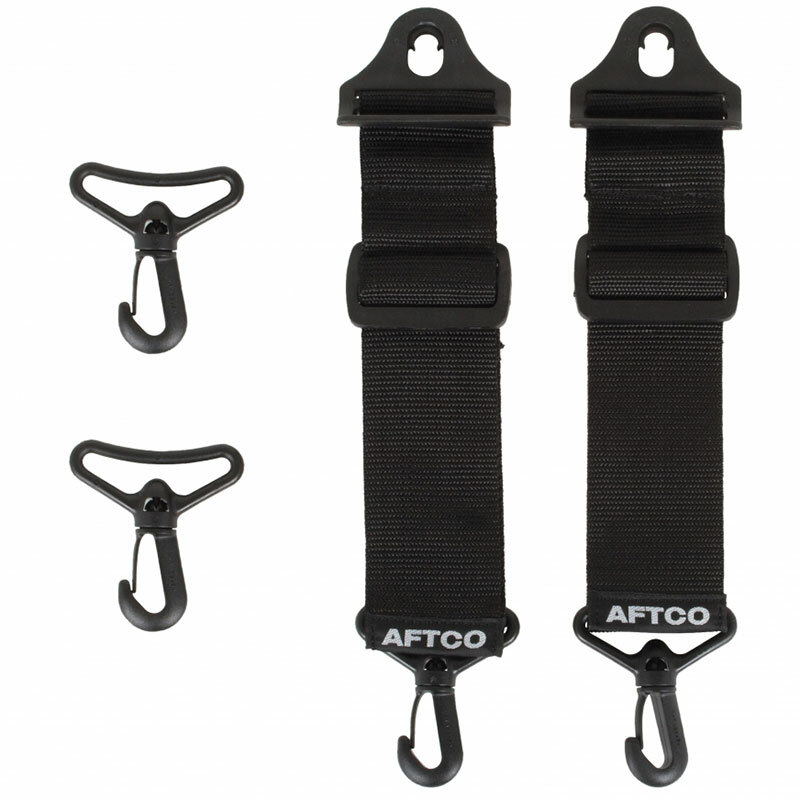 The Socorro is an ideal match for AFTCO's Max Force Harness. If it falls overboard it floats!